Nigel is the Co-Founder and CEO of Astronaut, a team that’s helping democratise opportunity for job seekers, and speed up the recruitment process for hiring teams. Astronaut is a B2B platform that is used both standalone or via integration with ATS and jobs boards. Before recruitment and technology, Nigel was managing real estate project teams in Australia and the UK for Lend Lease, and others. But his passion for early-stage ventures kicked in when we moved to Singapore in 2010. Since then he has worked with the founders of a number digital venture in Singapore, plus a stint in agency recruitment, and then led the turnaround of a SaaS-enabled marketplace model in India. 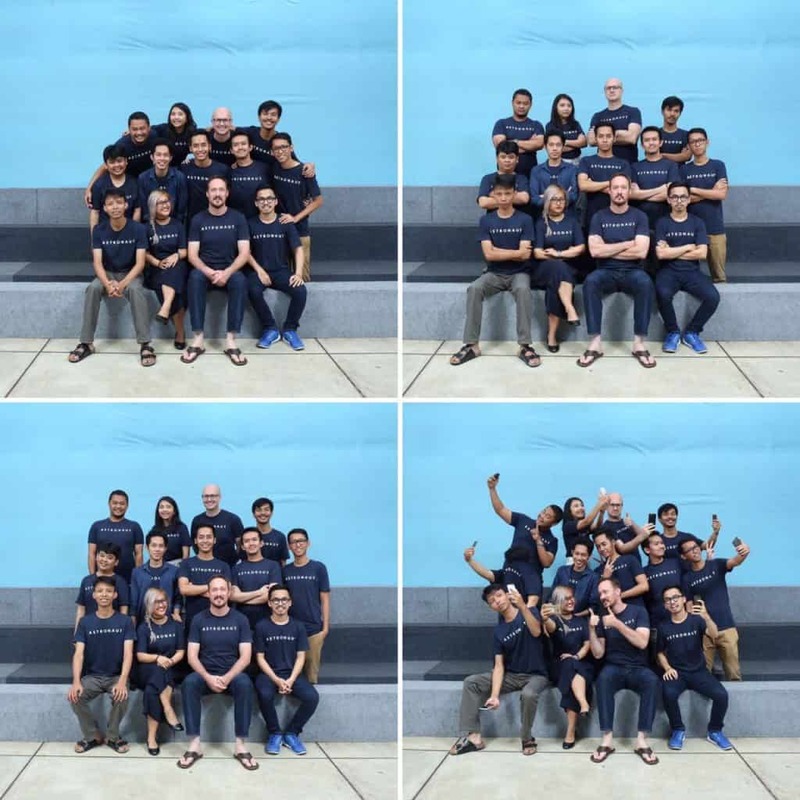 Having previously lived in (and built networks in) China, UK, Australia, USA, Malaysia, Singapore and India, Nigel decided to create Team Astronaut predominantly in the large, dynamic and emerging Indonesia where the majority of his users are based. Hey guys, my name is Nigel, I’m the CEO and Co-Founder of Astronaut Technologies. We make solutions for companies to get to know candidates fast and today I’m doing this interview on the Astronaut Mobile app. We are focussed on South East Asia, and we’re based mostly in Singapore and Indonesia. My background is a technology entrepreneur but I’ve also done head hunting, both on the agency side and I’ve also build numerous teams. So my first pay check was working in a video store back when VHS and Beta were the acronyms of choice, so yeah that was my first job, and I would serve customers and clean shelves. Before my work in the recruitment, I started my career as a civil engineer, working in the property and construction industry, on large scale projects, managing teams of architects, designers, engineers and getting the thing built on time and on the budget. Since then I’ve worked in the UK, been to business school in Australia and China, and then after business school got into early stage start-ups. I’ve worked in the green building industry and over the last four years have been working in the software space in emerging markets. 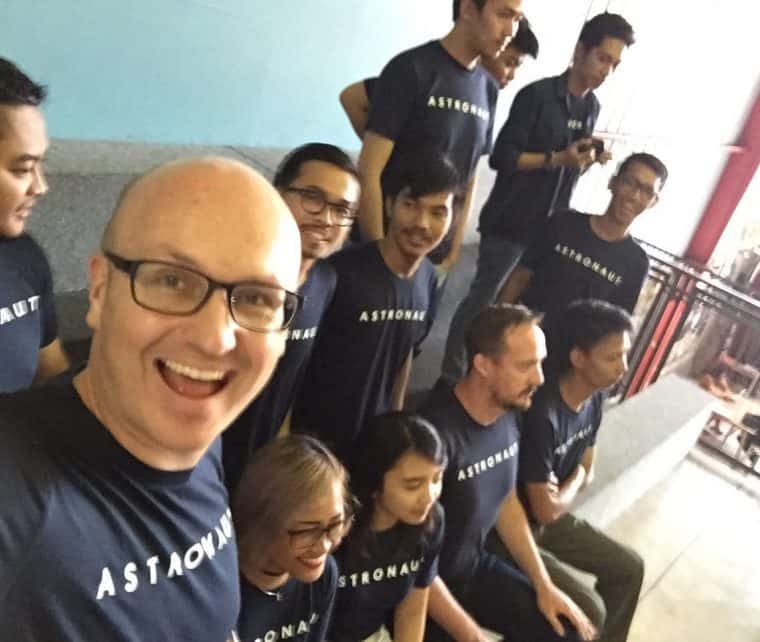 The idea for Astronaut started as I was building my team for my previous business in India. I was flying between Singapore and Delhi every 2 to 3 weeks, and I wanted to recruit fast. I was using WhatsApp chat to screen candidates, then started asking candidates to send me videos (in WhatsApp) answering specific questions. 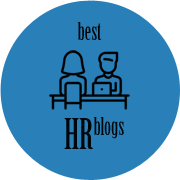 It’s speed and simplicity grabbed my attention, and as I was surveying what is happening in the world of recruitment tech, I discovered that recorded video was changing things fast. 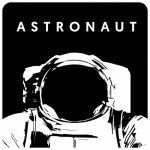 So the idea for Astronaut was born; we have a sincere belief that the convenience to candidates of video on mobile is going to change everything. A large paycheck, longer working hours, less time with friends. But it’s critical. My family has also made sacrifices because of this decision, and I’m very thankful. So yeah lots of sacrifices but in anything in life if you want something, if you want to make it happen, you can’t have everything, you need to make trade-offs. 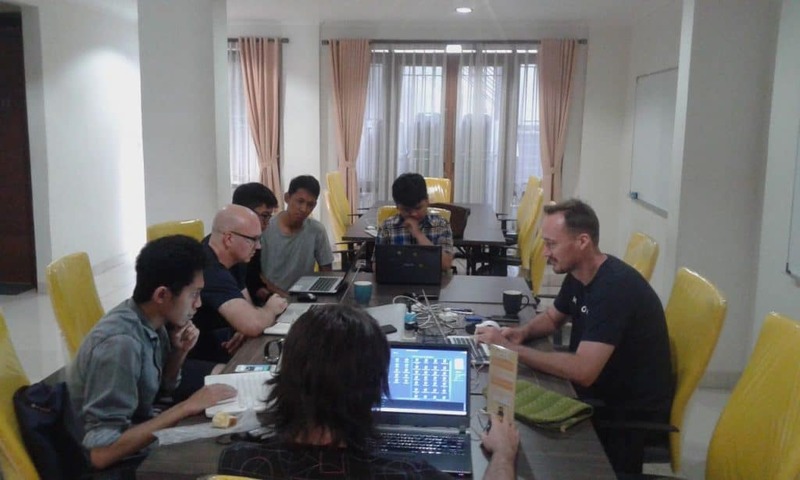 We’ve been self-funded so far, but I’m in the process of getting to know some of South East Asia top investors, both angel investor and funds and its fantastic process. Funding is critical if you want to grow into an opportunity fast. That being said, we believe that frugal with our funds, and being smart about creating value is critical in the early stage. At this stage, we market our business through direct contacts. I’ve been using LinkedIn for a long time, and I’ve build up some great connections across the region. I reach out to people, talk to them about their recruitment needs, and that’s how we acquire most of our customers. I also use LinkedIn for my personal brand as the founder brand is paramount as start-ups start to get exposure. All of this will change as we look to scale both domestically and internationally. We will use other methods. Our first deal was a non-paid customer. AIESEC, the excellent organisation, linking students across the world was our first customer in Bandung, Indonesia. It came about because of personal relationships with them, sitting with them, understanding their pain points in their processes and identifying that out technology could be helpful for them. So that is how it happened… a personal connection, friends of my team and myself. That’s always a good way to start. My typical working day is one where I have a coffee around 7.30 either on my own or in a meeting. I then connect with the team around nine o’clock and then it’s a mix of everything… meeting customers, investors, and partners. 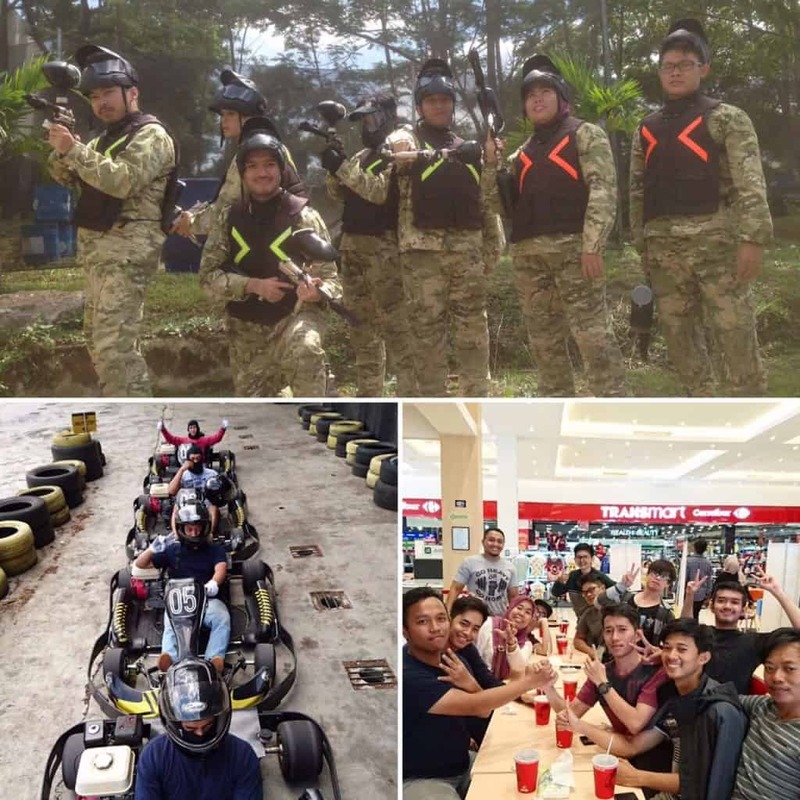 If I’m in Bandung, I’ll meet with my team in person. If not I’ll be very active on Slack or Hangouts. Lots of variety. That’s my typical day. Lots of small, proud moments. Seeing the team in a new office, being very focused, happy and communicating well is very satisfying. Having our interns tell us how much they enjoy working with us is another, and also getting inbound leads from high-quality organisations. Seeing users enjoy the product, love it, and then give feedback for improvement is also awesome. I don’t think we have had any low points. Early on, when clients would report bugs, I would find that challenging but it’s the nature of early-stage software products. Now we have invested properly in testing capabilities. I’m not comfortable talking in detail about revenue at this stage, it’s an important factor, and we are monetizing, but we only recently started to monetize. Product performance and having the right features is much more important for us at this stage. I look around me, and I try and find great examples of people doing smart things in business. I look for technology trends, and I look at other cultures and see how they’re doing things. I would challenge myself to learn new things, completely outside of what’s around. Go out, search for, and learn new things and also about other cultures. I think that is a really, really big one. Question everything and try read as much as possible and learn from older people who are an enormous wealth of knowledge. “Chasing growth” even though we had no evidence of product-market fit was the worst advice I’ve been given. Our focus for 2017 is to help organisations in Indonesia leverage technology, make their recruitment processes as fast as possible, and improve the candidate experience so that candidates view our clients as high potential places to work. Focusing on Indonesia is imperative for us, as it working deeply with our new customers. Towards the latter part of the year, we will extend to companies across South East Asia. Choose three things that you want to get done that day, write them down, and make sure you get them done. Another relates to the productivity of the team, which is that I always try to respond quickly to any requests and questions they have. I want them to know that I’m aware of what they are doing and they can get feedback from me fast. There are so many informal ways that WhatsApp helps both Astronaut and my life. I’m sure so many businesses small and large use Astronaut. So I think WhatsApp would be the one I can’t live without, I rather give up Facebook and LinkedIn before I give up WhatsApp.